Chocoholics have reason to celebrate this April. The chocolate company Lindt is no longer supporting Autism Speaks. The company has not otherwise commented on the shift. Its website currently makes no mention of autism or Autism Speaks. While Autism Speaks’ official website still lists Lindt as a partner, that possibly refers to the company’s past support of the organization. This represents a welcome change from years past. Since 2009, Lindt has partnered with Autism Speaks during the month of April through its Lindt Gold Bunny Celebrity Auction. The coincidence of Autism Awareness Month with Easter enabled the fundraiser. 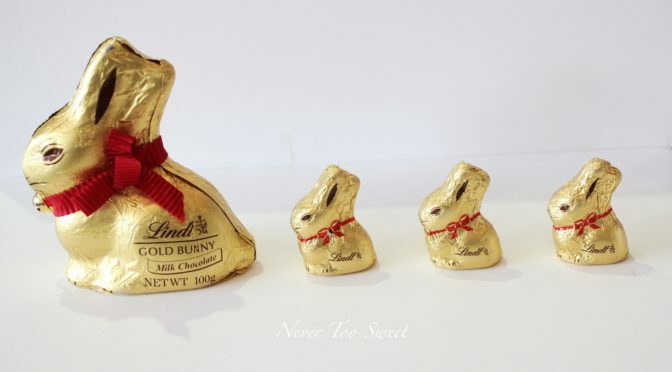 In previous years, between 60 and 90 celebrities signed Lindt’s signature GOLD BUNNY product. The bunnies were then auctioned off on eBay. All proceeds went towards Autism Speaks, with a single bunny possibly selling for hundreds of dollars. Last year’s celebrity supporters included Celine Dion, Blake Shelton, and Neil Patrick Harris. Although the company has not stated its reasoning for the break with Autism Speaks, the efforts of grassroots organizers such as Boycott Autism Speaks may have played a role. In dropping its support of Autism Speaks, Lindt joins other national corporations such as Panera Bread and Build-a-Bear. Whatever the cause behind the shift, it’s good news for autistic chocolate lovers. okay but are they going to do something to help another organization with that helps autistic people? AS isn’t good, but at least Lindt thought they were trying to help autistic people. Are they just…not anymore? Is it not better, at least, that they are not supporting the evil corporation? Baby steps. They are heading in the right direction now. Just be happy that they aren’t supporting AS anymore, that’s the most important thing. It’ll probably take a while for them to get on board with another (non corrupt) organization that supports autistic people. Build-a-Bear Workshop also no longer support Autism Speaks, but they still support the Aussie version, Autism Awareness Australia (and they’re still selling that godawful bright blue bear). I shall be investigating Lindt very carefully before deciding whether or not to make a purchase. What is the reason many dislike Autism Speaks? Aren’t they helping families? Googling “why is autism speaks so bad” gets a crapload of results.